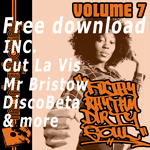 The latest single of Dirty Dubsters‘ excellent Special Request LP is the Peppery-featuring One By One – you know – the cut that alternates between bass-less dropouts and boom-heavy uptempo slabs of dub – that one. 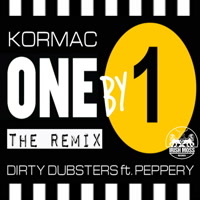 Anyway the single leads with the dancehall, dancefloor-friendly remix from Kormac. But what can he possibly have done to it to nice it up enough for batties to grind? I’m thinking a tempo boost and upping the skank quotient. Yes that’ll do famously.